CALGARY, ALBERTA--(Marketwired - Feb. 1, 2016) - Altitude Resources Inc. ("Altitude") (TSX VENTURE:ALI) is pleased to announce the results of the 2015 Palisades field program. The program is in the first year of a joint venture with JOGMEC. JOGMEC can acquire up to 51% interest in the Palisades Coal Project by investing CDN $4.8 million in exploration expenditures over a three year period. The 2015 exploration program consisted of field reconnaissance and drilling program and access construction. The Palisades Property is located approximately 40 kilometres northwest of Hinton, Alberta and is in close proximity to CN rail's mainline which services the Grande Cache mine to the northwest. 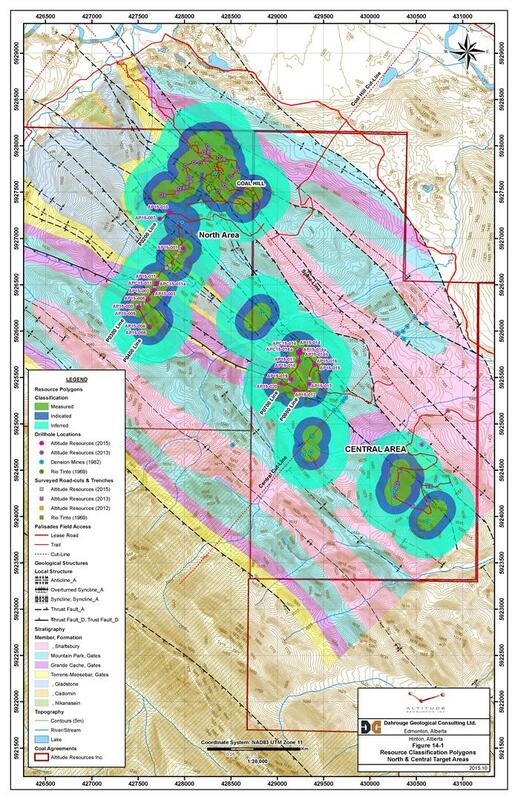 Based on a 2013 drilling program, Altitude had previously announced an NI 43 - 101 compliant Coal Resource Estimate comprising of 10.1 million tonnes ("Mt") in the Measured and Indicated Mineral Resource categories and 4.9 Mt in the Inferred Mineral Resource category, and a 32 Mt exploration target for the Palisades property. The coal quality rank is mid to low volatile (Ro 1.33 to 1.53). 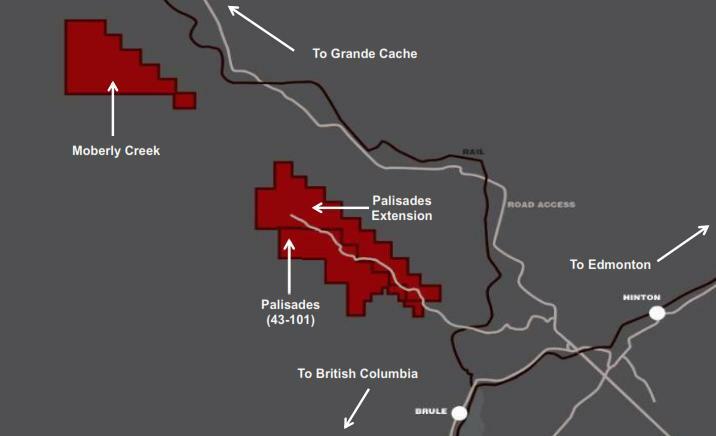 The JOGMEC Joint Venture consists of three Farm-In milestone periods whereby JOGMEC will contribute $4.8 C million towards exploration on the Palisades project. At the completion of the three Earn-In Periods, JOGMEC will have earned a 51% interest in the Palisades Project. By way of the successful execution of the 2015 Exploration program, JOGMEC fulfilled its First Farm - In Period requirements.